But if you’re looking for a smoking gun that leads to Russiagate…you won’t find it. [Clip: “Tonight, the ongoing Russian investigation has reached President’s Trump innermost circle. Trump’s former national security advisor, Michael Flynn, said he is cooperating with the Special Counsel’s probe into possible cooperation between the Trump Campaign and the Russian government. Looks suspicious! Flynn met with a ‘Russian’ official and you can’t do that. But you can do that. Discussions about future policy issues was part of Flynn’s job during the transition, the Russian Ambassador’s job too…. Smacks of Israelgate to me. Israel first pressed the issue with Trump. Kushner then directed Flynn to ask the Russian ambassador to veto the Resolution—not as ‘payback’ for supposedly hacking the election—but acting on behalf of a foreign nation to undermine US foreign policy. [Clip: “Continuing coverage on Fox’s top story. President Trump’s former national security advisor, Michael Flynn, admits now that a senior member of the Trump administration team told him to reach out to the Russian officials, and he did so. Fox News judicial analyst, Judge Andrew Napolitano, tells the Fox Business Network earlier today that we could be on the verge of a constitutional crisis. Mueller can’t find Russiagate either. Fact is…it wasn’t the Russian ambassador who expressed gratitude for Trump’s actions against the Obama administration, it was Israel’s ambassador. Start then with indicting Flynn for violating the “Logan Act” and then gather proof to indict Kushner. [Clip: “On this issue, if I could just ask a couple of very basic, dumb questions. Would the president elect, or even a candidate, talking to one of his advisors to reach out to the Russians, would that violate the Logan Act? Unless…you have Israel meddling to stop a UN Security Resolution. And a Kushner who failed to disclose he led a Foundation funding illegal Israeli settlements before the UN vote. That ‘very senior member’ is identified elsewhere as Kushner. Flynn, at the behest of Kushner—both acting as agents of a foreign government—sought to subvert US foreign policy on behalf of Israel. They violated the Logan Act. It’s still on the books, people. The only part Russia played was being asked—prompted by Israel—to change their vote into a veto. Russia declined, telling Trump they would not change their vote. But since there’s “no daylight” between the US and Israel, the hacks-on-the-hill will never see that Trump’s team were in collusion with Israel. That’s the reason Flynn lied. And that’s the sad story of Israelgate that will NEVER see the light of day. As I’ve informed you all before, JEWtoob put a fellow monkey-Jew on my back EVERY TIME I upload a Video. JEWtoob has threatened to SHUT ME DOWN with TWO STRIKES against me and ‘three strikes’ you’re out. But yew never know with a JEW monkey on your back. Jew-censors may not eat Pigs and keep kosher but to NO avail. They ARE Pigs and full of all uncleaness! May their own wickedness fall back on their OWN Jew-accursed heads and quick. What is ‘misinformation’ Mr Jew-pleasing Schmidt? It’s TRUTH that is sorrowfully misplaced on a JEW venue, JEWgle and JEWtube. Follow Me On GAB! // GABS of the Day! No JEW-Inspired Censorship like Twitter. Dump Twitter - Use GAB! Don’t Tweet - GAB instead! I’m in VERY SERIOUS, DIRE financial straits. Kushner, Trump, Killary, Scamders, Frankel are all villainous vermin who should be indicted for high treason for their service to a foreign country, isrealhell, in violation of the Constitution of the United States of America, which at last check did not sanction U.S. vassaldom to any foreign regime. Pathetic Bibi probably started it all by asking Israhell firster Bad Hair to plead his case with Vladimir. Putin is no Christian Zionist. The multi-billionaire was referring to Flynn’s admission that he had been told to ask Russia to delay a December 2016 UN Security Council vote on Israeli settlements. It has since been reported that Flynn was acting on Kushner’s orders, and that Israeli officials had contacted Trump’s team to ask for their help to veto the resolution, Reuters reports. Meanwhile Israel wants to send Americans and their ‘Arab’ allies or at least more US tax money to war against Iran. “Obviously, there are some differences between the Nazi Germany and Islamic Republic of Iran,” Benjamin Netanyahu generously allowed, “but both regimes do have two important things in common: one, a ruthless commitment to impose tyranny and terror, and second, a ruthless commitment to murder Jews,” he claimed in a video message, filmed for the Saban Forum, a conference on the US policy in the Middle East, that kicked off in Washington on Sunday. The Israeli leader has recently ratcheted up his angry rhetoric towards Iran, repeatedly accusing it of gaining a military foothold in Syria to attack Israel and vowing to “act alone” to stop Iran from acquiring nuclear weapons. A short clip from the video was released Saturday, hours after a missile allegedly fired by Israel struck the countryside near Damascus. Syria’s state media reported the missiles hit a military site, causing material damage. However, some other news sources reported that the missiles targeted an Iranian military base, allegedly being built in the area. He then went to predict a demise of the “Iranian regime,” claiming that Israel would be “the first in line to restore relations” when that happens. The Israeli leader once again bashed the nuclear deal between Iran and six world powers as a threat to the Jewish state’s existence, calling on other nations to follow US President Donald Trump’s lead in “erasing the great flaws” of the milestone agreement. Despite numerous International Atomic Energy Agency [IAEA] assurances that Tehran remains in full compliance with the 2015 deal, allows inspections and did not exceed the 300-kilogram limit set for its enriched uranium stockpiles, Netanyahu insists on either changing or scrapping the universally acclaimed deal. Former US State Secretary John Kerry has recently revealed that Netanyahu was “genuinely agitating” for US taking military action against Iran before the nuclear deal was sealed. Russia has been insisting that Iran, which on par with Turkey and Russia serves as a guarantor of a ceasefire in Syria, is present in the country on legitimate terms, invited by the Syrian government, as opposed to the US-led coalition. 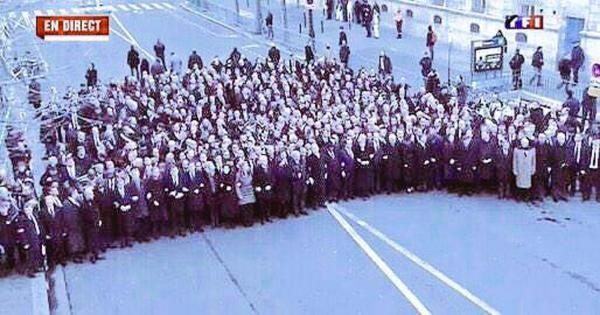 Recently I found this fake news picture they want us to believe their was a massive crowd behind the Charlie Hebdo rally in the French capital Paris. It was fake. Look for yourself how they corrupt everything and everyone. It’s a bit shocking that Judge Napolitano brings up the possibility of there being a Constitutional crisis arising from this. Whatever happened to the Uranium One deal with HRC seeking influence with Putin? Furthermore, stories are coming to the fore relating how General Flynn acted for President Obama prior to his inauguration with meeting the Russians about pending policies and actions. If anything, Obama and the Clintons should be on the way to being fitted for orange jumpsuits and not Trump. I would just love to see this backfire on all of those saying, “We got him now!” intent on overthrowing our duly elected President. Depending upon on how deeply one cares to dive, are we being set up for a military takeover of the US government? Whereas the oath of all military personnel requires defending the Constitution of the United States from enemies foreign as well as domestic, there is little if any guidance how enforcing that defense is carried out regarding domestic issues and enemies. The Chairman of the JCS could mobilize all forces to occupy WDC while arresting everyone from POTUS, SCOTUS, both houses of Congress, all cabinet members and political appointees followed by installing martial law across the fifty states and territories. There is no Constitutionally mandated “due date” or “perform by date” for restoring the Constitution to its Republican form of governance leaving open the likelihood of a President-for-Life military personage “leading” this nation for at least a generation. The tares (re: Jews, Jesuits, et al) have so mixed themselves amongst the wheat, that a divine miracle seems the only solution for prevailing against the evil instigating current events. And how is it now there arises this strong sense of morality from the libertines who previously espoused “free love” and its derivatives which created the depravities tolerated now turned vindictive? There is something afoot with the undercurrents within society these days. Hard to say if it’s just a ripple or a tsunami headed our way. If a political solution is possible, the first step should be to expel all dual-citizenship holding employees from federal, state and municipal government positions of employment regardless of position, duration or skill. Follow that and any further steps may not be necessary. Aside from the sheer stupidity and bigotry of Rense, you said nothing. You never refuted him nor corrected him. While I know Western Civilization history is not something most people discern, this was complete and utter BS. In the 600s the patriarch and bishopric of Rome was just barely hanging on from complete ruin from German and Frankish attacks. Was not the real power in the Church in the East in Constantinople? Without going into all of the history, I state again, what Rense said was pure bigotry. Setting aside the differences between the Orthodox Church and Roman Church, you should have corrected him! How could you a Brother and follower of Christ allow for that heretic, I assume he is at the very least a protestant, malign the Roman Catholic Church. Besides that, it was completely lunacy. I’ll tell you I will not send you another dime, and to think I just sent you $20.00. Thank you for pointing out to me my neglect to correct Jeff Rense for his absolutely outlandish, ridiculous statement regarding the Catholic Church creating Islam. It was so wacky and took me so totally off-guard while I was on another track in the ongoing conversation hoping to STEER it to my dire need for financial support, of which, the conversation was originally planned on going, but alas! never did. That said, next time I’m interviewed by Jeff Rense and he says something utterly false I plan on correcting him. It really was a falsification leveled at the Orthodox Church as well as the Catholic Church since at the time of the beginnings of Islam in the 7th Century, the Church (East and West) was One Church. It smells to me of a brand-spanking new “retirement account” in Flynn’s name, resting quietly until he’s ready to make use of it. Or — How about a “spontaneous” Nobel prize for the acquired ability to lie with a straight face? +BN’s GAB of the DAY! +Brother Nathanael on Rense Radio This Wednesday! Thank you for your brilliant analysis. Don’t forget that since you’re on Gab there’s also GabTV, and I hope you post a fund raising video there too. As one fake scandal fades, a real one emerges. I agree with benzion kook on the US Constitution. Kushner, Trump, Sanders and Franken are all villainous criminals who deserve to be prosecuted for high treason for their service to Israel, a hostile foreign country, in violation of the US Constitution, which doesn’t sanction vassaldom to any foreign country, Israel included. At the time the Constitution was drawn up and ratified, Israel, of course, didn’t exist (it was founded in 1948). The issue with vassaldom at that time pointed at the British Empire, which had recently lost the 13 American Colonies in the American Revolution. However, this very issue today points straight at the Zionist Entity, which, shortly after its inception, turned the US into a vassal state. After his inauguration as the 35th POTUS, John F. Kennedy, steered this nation away from subservience to Israel and took a more aloof stance with it and its Prime Minister, David Ben-Gurion. It was in 1963 that JFK found out that Mossad agents stole uranium and plutonium from a plant that stored those elements, took them to Israel and began developing nuclear weapons. Rightfully upset, he called Ben-Gurion and castigated him for the theft of the ingredients and the secret development of nukes. He demanded an IAEA inspection of the Dimona Nuclear Facility .. However, Ben-Gurion resigned his post and his successor brushed the angry JFK off. Six weeks later, JFK was assassinated. No succeeding Presidents ever repeated JFK’s demands again .. In fact, Trump was shown photos of the assassination to keep him in line. I’m sending you my donation as promised, Br. Nat, and I’m keeping you in my prayers. Brother Nathanael has to get exposure from whomever will allow him to get out his message, and I can’t think of many where he would be welcome. I’ve been a fan of E. Michael Jones going way back to the 90’s and his book about the Medjugorje Deception, a message that was extremely unpopular with most, but not all Catholics I knew, but one with which I came to agree with through my own independent efforts and prayers. So I was surprised to see that Brother Nathanael had crossed paths with E. Michael Jones, don’t know where their relationship stands now. I had no idea Jones had gone over to the “dark side” concerning the Jews and history, and paid a price for his orthodox Catholic beliefs, in which case he is loyal to Vatican II and the novus ordo mass. I do not hate the Jews, I cannot allow myself to hate them, but do intensely dislike some. My best friend in jr high and high school was Jewish, and I loved her and her whole family. They are all gone now, may they rest in peace. We never ever thought or talked about any of this in those days. But I feel guilty for pursuing the historical truth. My own father would disapprove. But times change, and I would have to lovingly show him articles in respected publications I’ve either found on my own or people have pointed me to that begin to shine the light on truth that has been suppressed in the West and probably elsewhere. Thank you for another outstandingly succinct Video humorous analysis of everywhere we step in Russiagate, we find Israel and the turds the Jews left. So the country that influenced US policy through Michael Flynn is Israel, not Russia. Flynn, Trump, Kushner, the entire Presidential Transition Team were all private citizens at the time Flynn made the effort to influence not only Russia, but other members of the UN Security Council to change their vote on the resolution condemning (for the zillionth time) Israel’s illegal settlement expansion. Despite how “presidential” Trump was trying to rebrand himself, and he preened under the empty honorific title of “President-elect” Trump, in terms of actual presidential authority, Citizen Trump was still John Doe, with no official executive authority whatsoever. It’s customary for presidential transition teams to get their temporary security clearances, and passively start riding passenger with the outgoing White House administration and its various federal departments to learn the ropes. The idea behind presidential transition teams is to attempt an orderly transition of government — unless you happen to be the Orange Lord of Chaos. As you rightly state, there isn’t the least thing wrong with Trump’s transition team informally meeting as private citizens before inauguration, meeting and speaking with foreign officials directly the first time to begin building diplomatic contacts and official bilateral networking, and gathering data which will begin to flesh out the incoming White House administration’s future foreign policy — after official presidential inauguration. So the Trumpean Kushnerites did try to influence Russia to disrupt and undermine official US foreign policy, not the other way around. The entire “Russiagate” situation reminds me of a a little story I once heard about a woman who spent hours scrubbing a dirty spot on the wall down to bare plaster, only to find the dirty spot she was trying to clean was on her glasses. It’s pretty sad that we are so used to being the de facto United States of Israhell under its Zionist Occupied Goverment, and that Judeophilia and its Holcaustianity religion is so imbued in the fabric of American political society that it’s pretty sad that Israeli collusion is right in the open and nobody bats an eye. Well, because after all: Israeli collusion, ummmh, yeah, well yeah, you know, that’s a given when all of our political elites have to swear an oath of allegience to AIPAC, which has certainly worked as a foreign agent since the 1950s, when it was originally the Israel-funded American Zionist Council. You are 100% correct about Trump, Kushner, Flynn et all violating the Logan Act. While its true that the antiquated but still on the books 1799 Logan Act has never actually resulted in a conviction when it was rarely pursued, there has also never been a situation like this one which fits the Logan Act to a T.
–shall be fined under this title or imprisoned not more than three years, or both. The Logan Act (1 Stat. 613, 18 U.S.C. § 953, enacted January 30, 1799) is a United States federal law that details the fine and/or imprisonment of unauthorized citizens who negotiate with foreign governments having a dispute with the United States. It was intended to prevent the undermining of the government’s position. The Act was passed by Congress following George Logan’s unauthorized negotiations with France in 1798, and was signed into law by President John Adams on January 30, 1799. The Act was last amended in 1994, and violation of the Logan Act is still a federal felony. The 1799 act was named after Dr. George Logan. A prominent Republican and Quaker from Pennsylvania, Logan did not draft or introduce the legislation that bears his name, but was involved in the political climate that precipitated it. In the late 1790s, a French trade embargo and jailing of American seamen created animosity and unstable conditions between the US and France. Logan sailed to France in the hope of presenting options to its government to improve relations with America and quell the growing anti-French sentiment in the US. France responded by lifting the embargo and releasing the captives. Logan’s return to the America was marked by Republican praise and Federalist scorn. To prevent US citizens from interfering with negotiations between the United States and foreign governments in the future, the Adams administration quickly introduced the bill that would become the Logan Act. The language of the act appears to encompass almost every possible communication between a U.S. citizen and a foreign government considered an attempt to influence negotiations between their two countries. Because the language is so broad in scope, legal scholars and judges have suggested that the Logan Act is unconstitutional. Historically, the act has been used more as a threat to those engaged in various political activities than as a weapon for prosecution. In fact, Logan Act violations have been discussed in almost every administration without any serious attempt at enforcement, and to date there have been no convictions and only one recorded indictment. For example, In 1975, Senators John Sparkman and George McGovern were accused of violating the Logan Act when they traveled to Cuba and met with Cuban officials on an informal, goodwill fact-finding trip for the Senate, hoping to act as go-betweens for an eventual re-establishment of official US-Cuba relations during the Cuban blockade. Their intent was not to intervene or subvert official US policy, but to act as mediators opening channels for future diplomatic relations and negotiations. However, Sparkman and McGovern were not per se unautorized citizens, and their informal personal mission resting upon their senatorial credentials representing Capitol Hill, although “unauthorized” by presidential authority, their visitation was still approved by the State Department as on behalf of the United States. The Logan Act did not apply to Senators Sparkman and McGovern because it violated their right to freedom of political speech and their duty as US officials and legislators to be able to investigate and research matters relative to their legislative powers and duties as well. I think Republican President GW Bush may have accused Democrat Speaker of the House Nancy Pelosi of violating the Logan Act when she met with Syrian President al-Assad around 2005 or 2007. What’s sauce for the Cuban goose is good for the Zionist gander. Our politicians and officials take unofficial, “working visit” junkets to Israel all of the time, and all of them have openly expressed their loyalty to AIPAC and the state of Israhell. Egypt originally submitted and circulated the draft resolution to be put on the UNSC meeting agenda. It was nothing that came out of the blue, Egypt was acting as point for a UK initiative. In terms of UNSC resolutions on the Israeli Military Occupation of the Palestinian Territory since 1967, this one was a relative scorcher in expressing the UNSC’s consensus and international will, even though it didn’t say anything radically new, it was addressing and reiterating decades of Israeli abuses against the Palestinians under martial and semi-martial law, and Israel’s complete disregard for all past resolutions, advisory and mandatory, thumbing its nose at the UN. UNSC resolutions are mandatory legal instruments under international law. And Israel perceives itself has having a mandate to ignore the resolutions, thumbing their noble Jewish aquiline noses at the world. Before UN resolutions are put on the meeting agenda, drafts and proposed revisions are circulated and there is diplomatic discussion, white papers exchanged, and horse trading going on behind the scenes among the UNSC members and the non-member UN countries that may lobby the 15 Security Council members. By the time it gets to the UNSC floor for the formal vote, every Security Council member (who also often act as a Security Council intermediatary for the members of the UN General Assembly) has finished wrangling and negotiating over the draft resolution trying to get their pet issues on board, every Security Council member a general idea how their own government and others might vote on the resolution. The wrangling can become extremely picayune — “I won’t vote for it if you use this word, but if you change it to this word I will vote for it”. But the final draft of Resolution 2334 was prepped and ready to go with considerable cooperative labor between the UK, Palestine and some Arab countries, and Egypt then submitted it on the 21st, as I recall, for the next day’s agenda. Sometimes a country will stay undecided until the last minute and the actual vote. The resolution, circulated by Egypt among the UNSC members and available generally to the larger UNGA members, also stressed that “the cessation of all Israeli settlement activities is essential for salvaging the two-state solution” which would see Israelis and Palestinians living side-by-side in peace. The U.S. vetoed a similar resolution in 2011, but it was not immediately clear how Ambassador Power would vote at the UNSC meeting that Thursday, December 22. In February 2011, Obama’s first administration, the US used its veto power to block a similar UN Security Council resolution and settlement activity has grown substantially. At least 100,000 settlers were added since Obama took office, and The Quartet report in July 2016 said that 570,000 Israelis lived in the settlements. Prior to voting on the resolution, diplomats predicted that US frustration with the growth of settlements, as well as the poor relationship between Obama and Bibi, might cause the US to abstain, rather than veto the resolution. Netanyahu was confident that Israel’s diplomatic standing was on the rise, and that the world was no longer very interested in the Palestinian issue. Until the U.S. abstention led to the passage of UNSCR 2334, Obama had been unique among American Presidents for not allowing any resolution critical of Israel to pass through the Security Council in 8 years. Bibi’s Jewish nose caught wind of what direction Power would go, gleaned from “intelligence” (not very hard to get from leaks inside the WH, or just from the UNSC grapevine) that she was going to abstain from voting at the UNSC on the binding resolution directed at Israel. This would then allow the resolution’s unanimous passage by the UNSC with one abstention condemning Israel’s continued illegal settlement of Palestinian Territory, and everything else on the resolution laundry list. Which means, Bibi was up, awake and tweeting at 3:30 AM, Israel Standard Time, December 22. Citizen Trump, braying all the way, joined the hee hawing jackass herd cacophany to pressure the White House on behalf of Israel, although he claimed it would mess up his own non-existent Middle East peace plan. Trump’s Middle East peace plan is whatever Bibi wants it to be. As said before, the draft was originally presented by Egypt on the basis of a document prepared by British legal and diplomatic figures working together with the Palestinians. The UK, permanent member of the UNSC, was regarded as the key player in formulating the resolution and pressing for a vote. Israel called out the British government for it, complaining that Israelis knew what Arab documents read like, and this one was an obvious Western document. High pressure tactics were expended to first avoid the vote. On 22 December, Citizen Donald Trump called on Egyptian President el-Sisi to withdraw the proposal. After a personal telephone conversation with Trump, Egypt withdrew the nomination after what its ambassador called an “intense pressure”. Then on 23 December, the draft resolution was taken up and proposed again by Malaysia, New Zealand, Senegal and Venezuela. New Zealand, a non-permanent council member, had been pushing a separate resolution that would set out the parameters of a peace settlement. Israel unsuccessfully pressured New Zealand to withdraw its support, with Netanyahu telling Foreign Minister Murray McCully that support for the proposal would be considered by Israel as a “declaration of war”. Britain encouraged New Zealand to keep pushing for a vote. Since New Zealanders will obstinantly dig their heels in when someone tries to push them around and stiffen their their Scot-Irish fighting resolve and steel Celtic backbone, the New Zealanders redoubled their efforts to push the resolution to the floor for a vote, along with the other three supporting countries. Following a telephone conversation between Netanyahu and Vladimir Putin just a few hours before the vote, the Russian ambassador to the UN Vitaly Churkin requested that the vote be postponed until after Christmas. Churkin’s proposal failed to gain any support at the Security Council meeting. Realizing that the resolution was again going to the UNSC pushed forward by New Zealand, Malaysia, Senegal and Venezuela, Kushner, acting on behalf of the State of Israel against the US government, then directed Flynn to ask the Russian ambassador, Kislyak, to contact the Kremlin to change it’s vote. Either way, Trump had to have approved Flynn’s solicitation to get Kislyak to get the Kremlin and MFA to get the Russian ambassador to the UN, then Vitaly Churkin, to veto or delay the UNSC anti-Israel illegal settlement resolution. So, there we have it. Citizen President-elect Trump, and his equally unofficial Presidential Transition Team, without any authority from the United States government attempted to get another foreign government, Russia, to change its vote and veto the UNSC resolution on behalf of Israel another foreign government, with whom America has an entangling alliance to the point of strangulation. As public information posted on the UNSC’s public agenda and circulating around (this wasn’t scheduled for a secret, closed meeting of the Council), Bibi already had the information US Ambassador to the UN, Samantha Power, was going to either vote favorably on the resolution, or else abstain from voting at the UNSC on the binding resolution against Israel. Either way, the US would not be exercising its veto power (for once) on Resolution 2334. The resolution passed unanimously with the one abstention condemning Israel’s continued illegal settlement of Palestinian Territory, annexing of East Jerusalem, the continued ethnic cleansing and land theft, and the entire saga of the Jews sabotaging and subverting the peace process since 1949. In one desperate last ditch effort to quash Resolution 2334, Netanyahu called Putin directly just a few hours before the vote. This was what prompted Ambassador to the UN Churkin to propose postponing until after Christmas to take action the following week. But that would not serve Bibi’s ultimate goal to trash the resolution completely. Under the direction of Kushner, Flynn, apparently sometime in the time frame before the vote was cast, also contacted Ambassador to US Kislyak to convince Russia to change its vote to a veto. The Kremlin declined, stating their approval vote would not change. The resolution was passed 14 to 0; all members voted for the resolution except for the United States, which abstained. Ambassador Power explained the abstention by saying that on one hand the United Nations often unfairly targets Israel, that there are important issues unaddressed by the resolution, and that the US did not agree with every word in the text. On the other hand, she stated the resolution reflects facts on the ground, that it reaffirms the consensus that the settlement activity is not legal, and that the settlement activity has gotten “so much worse” as to endanger the viability of the two-state solution. 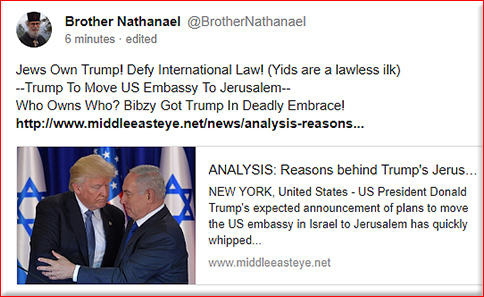 A botched major effort of international dimensions to block UNSC Resolution 2334 as an agent of Israel lies behind the false information case against Michael Flynn and the White House. Because the gambit ultimately wasn’t successful, and because the Logan Act works better as a political cudgel than as a law, there’s little to no chance that he or anyone would ever be successfully prosecuted under the Logan Act if Flynn had told the truth. Once all the MSM “Russiagate” hysteria and twitterati dust has settled, was pretty much public information anyway. Russia did not change their vote on behalf of Israel, and the attempted subversion of the US government’s official foreign policy by US citizens on behalf of another foreign government failed. Why did Flynn lie to begin with? I think Flynn lied because he understood, correctly, that he and his transitional teammates had done something very wrong and inimical to U.S. interests on behalf. Flynn says that was at the behest of Trump’s son-in-law and adviser Jared Kushner, who has longstanding ties with Israeli Prime Minister Benjamin Netanyahu. Flynn wasn’t a misguided private citizen (think Dennis Rodman in North Korea in 1984) flying off to consult with a foreign power. Such bumbling freelance citizen diplomacy can be vexatious to the government, but no one could confuse it with a legitimate U.S. foreign policy initiative. Flynn, although no politician, had a tremendous amount of experience implementing US foreign policy through the military. Pentagon is very familiar with US foreign policy. And Flynn wasn’t just reaching out to, say, introduce himself or receive basic information. He was intentionally helping to undermine the Obama administration’s official Israel-Palestine policy, and ultimately the same official Mid East policy that the US has given at least lip service to since 1949 as a matter of international law. What Flynn did was like being ordered by foreign country A to contact foreign country B to request that they fire a missile at the US to further the foreign policy of country A. Bringing up issues of sanctions and diplomatic retaliations to be worked on in the future are not unreasonable or illegal, or “collusion”. These matters were imposed by the fiat of Obama’s Executive Orders, Trump would have the power to change, modify or rescind any presidential Executive Orders and sanctions policy after he was sworn in. However, Flynn knew he was on shaky ground when he was directed to contact Russia about changing their vote on a matter of international law. He knew he had intentionally done something against the United States itself. He was no novice or inexperienced political infant like Trump. He was not only a retired career military general and Director of National Intelligence, he was also a registered lobbyist and acted as an unregistered foreign agent on behalf of Turkey’s interests. Resolution 2334 fell under the official United States foreign policy purview under the authority of the incumbent President Obama. Trump and surrogates were trying to subvert it in favor of a foreign head of state, the Prime Minister of Israel. From a career military man’s point of view, Flynn was going against official measures of the US ordered by the seated POTUS. He lied to cover up the fact that he wasn’t really even acting on behalf of the president-elect trying to get Russia to change its vote, but to cover up that he, Citizen Trump and the PTT, was acting only on behalf of the pernicious foreign “Jewish state”. +BN is right. Flynn lied for Israel (and the whole field of poisonous Likudnik toadstools in the White House) and in this Flynn, at least, has thrown away his personal integrity, honor, and an entire lifetime career and accomplishments. Is Kushner in trouble? I hope so. Mueller is looking for bigger fish to fry, and I don’t feel it’s politicized on his part. Any deals that Kushner may have concocted through Flynn with Russia or Israel, will interest Mueller, partly if it involves benefits that would not merely accrue to Trump’s presidency, but to Kushner’s personal fortune, or that of his family of real estate development moguls. Writing for Bloomberg News, Timothy O’Brien, a Trump biographer, said Kushner’s interests with Russia and Israel may extend well beyond his father-in-law’s foreign policy considerations. Kushner’s family is in debt because of its ownership of a Manhattan office tower (666 Fifth Avenue) and murky links to China power structures. The Court Jew has also in his real estate dealings partnered with one of Israel’s wealthiest families, the Steinmetzes, who built a fortune as one of the world’s leading diamond traders. One of the Steinmetz men, the billionaire Beny, was under scrutiny by law enforcement authorities in four countries earlier in 2017. In the United States, federal prosecutors were/are investigating whether representatives of his firm bribed government officials in Guinea to secure a multibillion dollar mining concession. In Israel, Mr. Steinmetz was detained in December and questioned in a bribery and money laundering investigation. In Switzerland and Guinea, prosecutors have conducted similar inquiries. Beny Steinmetz is represented by none other than criminal defense attorney Alan Dershowitz. Kushner reportedly pressed his father to sack then-FBI director James Comey in May. Comey was investigating the very events that have entangled Flynn — and Kushner. Comey also has spoken to congressional committees and with Mueller’s investigators, Mueller has some other game in mind. Whatever it is, Flynn apparently is cooperating. And Trump is tweeting up a real twitstorm about it all. I wonder if Kushner and family have invested in illegal settler real estate properties? From studying the Bible, reading the Protocols of Zion, watching what happens in the world, it looks like the great tribulation will be the result of Zionist Jews trying to replace Christianity with their Jew World Order, JWO. Satan and his children are tryiing to destroy Christianity and white people. Their destruction of Christianity has gone forward by leaps and bounds over the last hundred years. Satan hates white people especially because Christianity spread from Europe to North America, Australia, South America, and much of the rest of the world. The Zionists destroyed hundreds of millions of Christians with WW1 and WW2 by inciting Christian nations to war against each other. Something like 90 million Russian Christians were destroyed by Bolshevik Jews, Lenin, Trotski, Stalin, and their communist government. TV, newspapers, books, movies, magazines, the Jews’ Media, have brainwashed white people to help cut their own throats by wars, perversion, drugs, suicide, and other forms of self destruction and un-christian behavior. Relatively few white people seem to understand or have any awareness of who is destroying them, which is just how the Zionists want it. Masses of white people swallow the Jews media propaganda about white supremacy and similar phrases coined by Jews. As Satan and his little helpers force their JWO on the world with more and more cruelty, it will apparently lead to the great tribulation. The president’s son-in-law and senior advisor, Jared Kushner, was praised yesterday for attempting to derail a vote at the United Nations Security Council about Israeli settlements during the Obama administration. “You’ve been in the news about an issue that I personally want to thank you for, because you and your team were taking steps to try and get the United Nations Security Council to not go along with what ended up being an abstention of the U.S., going against a 50-year old tradition,” Democratic mega donor Haim Saban told Kushner at the top of a 30-minute discussion at the Saban Forum, during Kushner’s first comments on the Middle East. What Saban alluded to—but did not state outright— is that a senior White House official widely reported to be Kushner dispatched former National Security Adviser Michael Flynn to make secret contact with the Russian ambassador in December 2016 in an effort to undermine or delay the resolution, which condemned Israel for settlement construction. “To be honest with you, as far as I know, nothing illegal there,” Haim Saban, a Democratic donor who was a key supporter of Hillary Clinton, told Jared Kushner. “But I think that this crowd and myself want to thank you for making that effort, so thank you very much.” The audience at the Brookings Institutionin Washington applauded. On Friday Flynn pleaded guilty to lying to the FBI and agreed to cooperate in the on-going investigation on potential collusion between Trump administration officials and the Russians. Shortly after NBC revealed per sources that it was Kushner who told Flynn to seek out the Russians. On December 23, 2016, the Obama administration abstained on the resolution, which allowed it to pass otherwise unanimously. Making his first appearance since the critical breakthrough in the Robert Mueller investigation, Kushner was keynoting the Saban Forum, an annual venue of Israeli and American policy influencers, founded by Saban. Kushner is arguably at the nucleus of the Trump administration’s inner circle, so his involvement raises serious questions as to whether he violated U.S. law, or also misled investigators. Outside of the Mueller investigation, Kushner has also been in the news over the weekend regarding his failure to disclose that he presided over a family charity that donated at least $58,000 to Israeli settlements in the West Bank. Newsweek broke the story yesterday, reporting that Kushner did not disclose 100 contacts with foreign nations despite three rounds of revisions to his disclosure forms. Those contacts including meetings with a number of Russians during the campaign. The revelation was first made by the progressive watchdog the American Bridge whose researcher director Pat Dennis confirmed to Mondoweiss the group cross-referenced the Charles and Seryl Kushner Charitable Foundation 990 tax forms with Kushner’s public financial disclosure form. Kushner has not been issued a security clearance because of discrepancies in paperwork, including a confidential security clearance form known as a SF-86. Kushner has “an interim security clearance nearly a year into the administration, as investigators continue to assess his trustworthiness and analyze his web of active foreign investments,” Newsweek reported. At the Saban Forum podium, no one referred to these suggestions of malfeasance or other headlines. Although some attendees spoke jokingly in private about the ill-fated timing for Kushner. During his remarks, Kushner was vague about his progress in formulating a peace deal between the Israelis and Palestinians. “I’ll definitely say it’s not a conventional team,” he admitted. Saban asked directly if the administration can make peace. “We do think it is achievable and there are a lot of reasons why this is the time and why it should happened,” Kushner said. When asked about Trump’s upcoming announcement this Wednesday in which the president is said to plan to recognize Jerusalem as the capital of Israel, Kushner countered that Trump is “still looking at a lot of different facts” and has not make a final decision. Recognizing Jerusalem would mark a major break in U.S. policy. Previous administrations have adhered to the Oslo Accords tenet that the status of territory should not change outside of formal agreements between the Israelis and Palestinians. Palestinian officials have emphatically come out against the expected move, warning that relocating the embassy or naming Jerusalem as Israel’s capital could throw off peace talks. Saban, the founder by and namesake of the Saban Forum, is an Israeli-American tycoon and major donor to Hillary Clinton during the 2016 presidential race. Even so, he and Kushner appeared to have a warm rapport [because Kushner is really a Democrat]. “We became friends and we exchange ideas on an ongoing basis. He advises me, and I advise him,” Saban said. ABC’s Brian Ross lied about Flynn testifying against Trump, forcing the Dow Jones to plummet by 350 points. Ross is the one who lied about the anthrax coming from Iraq in October, 2001. Who is feeding Brian Ross with his information? Stu Schwartz was ABC’s news producer for 30 years and I believe would have been behind the anthrax lie back then. Stu’s daughter is Dana Bash, CNN’s chief political corespondent. You’ll remember her trying to sink Ron Paul’s election hopes. This network of Sayanim needs to be exposed, but of course they control what Americans hear and think. We desperately need Brother Nate in these times more than ever. You are so correct, Thelma, in what you wrote about the bishop of Rome hanging by a thread. Yet, there are still so many ignorant of the true church–the Eastern Orthodox Church, and of the Jew takeover of the schismatic Protestant church of the West. The Jews have made history their fairy tale and the masses believe it. Many who tell the truth have been silenced by Jew censorship of the internet (a creation of the DOD which they run entirely). Brother Nathanael is worthy (AXIOS!) of our continued support, financially (it’s on the way) and in prayer. If we had a real MSM which actually followed journalistic independence, ethics and standards, the big news would be Kushner, president of Likud Party West colonizing the White House, directed Flynn to act on behalf of the foreign nation of Israel. Saban and Kushner are both very proud of Israel’s contemptuous flouting of international law. They, and all Zionist Nationalist Jews of neoliberalcon stripes, are ultimately proud of the Commie-Zionist terrorist Jews of Haganah, Irgun and Stern Gang/Lehi who “founded” the original Terrorist State on the blood and broken bodies of Palestinians, British, and other Jews. “By that time, the Irgun, too, had resumed its armed struggle against Britain, believing that once the defeat of the Nazis looked certain, it was time to begin pressuring the British on the future of Palestine. “None of this history is new, but Hoffman excels at describing the complex internal politics of the terrorists, the Yishuv, and the British administration, which were constantly evolving. “The mainstream Yishuv, which controlled the Haganah, regularly denounced the outrages of the Irgun and Lehi. But since the British had deeply alienated the Jews of Palestine by restricting [illegal] Jewish immigration and deferring to Arab hostility, the Yishuv was not especially eager to cooperate with the British in actually cracking down on the terrorists. “Indeed, for a brief period after the war, the Haganah and the Irgun actually joined forces. “The inability of the British to stop the terrorists, meanwhile, had officials in London and Jerusalem tearing their hair with frustration. They were caught in the familiar dilemma of the occupier: The more they cracked down on terrorism, the more the civilian population rallied to the terrorists’ side. “The Irgun, never large or very popular, could nevertheless operate with impunity, and it answered every British escalation with a new response. When the British started flogging captured prisoners, Irgunists kidnapped some British soldiers and whipped them; when the British executed Jewish terrorists, Irgunists assassinated British policemen. [In January, 1947, righteously indignant English citizens of London rose up when they learned of the whipping of the kidnapped British soldiers and attacked the local London synagogues. Tablet: “As Hoffman shows in extensive detail, the British were never able to commit enough troops or police to Palestine to control it effectively. Instead, the occupying administration was forced to retreat behind heavily guarded camps, which the Jews mockingly referred to as Bevingrads, after the hated British Foreign Minister Ernest Bevin. 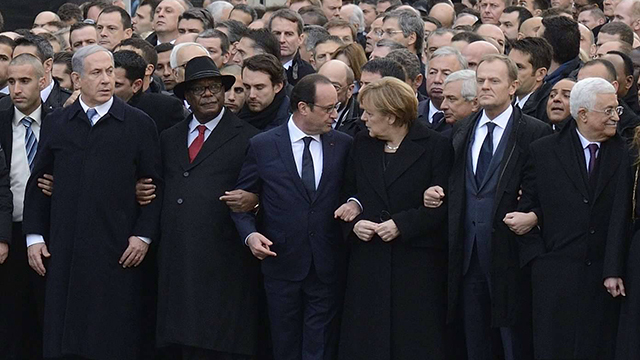 “What it came down to, in the end, is what terrorism always comes down to: the assertion of will. The relentless terrorist campaign convinced the British press and public that the Jews’ will to create a state in Palestine was greater than Britain’s will to keep ruling it. “Indeed, by 1947, the British must have wished that they had never conquered the country from the Turks in the first place, or inserted themselves into the Arab-Jewish conflict with the Balfour Declaration. Ironically, as Hoffman argues, what made the Irgun’s campaign of terror possible was British restraint and moderation. In the course of discourse herein, I find my faith fulfilled yet again in the most effective Sanhedrin slayer, Christ’s supreme Champion our very own Brother Nathanael. His reply to an aggrieved commentor was the stuff of Great men. It could be divinity itself. Hope all the family appreciate his sense of Truth, and Spiritual determination. Life is full of surprises. Like that time you were counting on a new bike for Christmas, and were totally certain your parents were going to come through, and then – lo and behold! – on Christmas morning there it was: a spanking brand-new Segway! That’s just what happened to #TheResistance this holiday season. For months they’ve been salivating heavily in anticipation of the turning of Michael Flynn, the former National Security Advisor now charged with lying to the FBI. Flynn has admitted doing so on at least two occasions, both involving his answers to questions about his conversations with Russian ambassador Sergey Kisylak. During the transition – after Trump’s election but before he took office – Flynn was talking to the Russians about two subjects: the possible blowback from the Obama administration’s decision to impose more sanctions and close the Russian compound in Maryland, and the Russian position on the controversial UN resolution condemning Israel for building yet more “settlements” on Palestinian land. The incoming Trump team was “intensely focused on improving relations with Moscow and was willing to intervene to pursue that goal,” as the New York Times phrased it, even as the war cries in the Democratic party got louder and demagogues like Adam Schiff waved the bloody shirt of Russia-gate. That took balls: and here’s another instance where the alleged non-interventionists ensconced in the world of thinktanks and academia fail to give the Trump people the credit that is their due. Think about it, folks: both the US and the Russians possess enough nuclear firepower to destroy all life on earth several times over. This sword of Damocles is hanging over us by a thread, just as it loomed large during the last cold war with Moscow. It’s a machinery of annihilation that is set on hair-trigger alert, and any number of events could unleash it: a miscalculation, a foolish bluff, a misunderstanding, a technical glitch, a showdown similar to the Cuban missile crisis. All that stands between us and utter extinction is the hope that this apparatus of death can be restrained by mutual agreement. Bravo to the Trump administration for making peace a priority. If this is now a crime, and even “treason,” as the mouth-breathers of #TheResistance would have it, well then let the Washington Inquisition make the most of it. Flynn was instructed by none other than Jared Kushner, the President’s son-in-law, to approach “every member of the Security Council” to block the resolution condemning the seizure of Palestinian property. The Russians were directly contacted by Flynn, who asked them to veto the resolution in the Security Council. Flynn’s unsuccessful efforts on behalf of the Israelis were the fruit of an Israeli appeal to the incoming Trump administration. By inserting that information into the public record, the legal case against both Flynn and possibly other figures in the Trump administration is considerably strengthened. Which makes one wonder: did the Israelis deliberately burn Trump? Yes, I’m indulging in pure speculation, and yet why would an Israeli official openly discuss such a delicate matter? Even as the outgoing Obama-bots were setting the trap for Flynn – an effort Tel Aviv may well have been privy to – the Israelis were letting the world know that they had the Americans in their pocket. This is more grist for Mueller’s mill: aside from that, Kushner has financial and political links to Israel, and these are now likely coming under the special counsel’s scrutiny. One can now see what direction this investigation may be taking us: Instead of revealing collusion between the Trump team and the Russians, the Flynn indictment exposed Kushner’s collusion with Israel. If this is, indeed, the direction Mueller is taking, then this development is certain to end the fondest hopes of #TheResistance. Because it’s highly unlikely any public official, no matter how compromised, is going to be prosecuted for collusion with the Israelis and/or their American lobby. The last time US law enforcement tried that was back in 2009, in the Larry Franklin spy scandal, in which two employees of AIPAC, the powerful Israeli lobby, were prosecuted for procuring vital secrets from National Security Council analyst Larry Franklin. That case was dropped because pursuing it would have revealed yet more secrets. That was a case of outright espionage: “collusion” is a far different – and much vaguer – matter. In any event, the fact is that after what seems like years of accusations, not a single iota of actual evidence has corroborated the charge that the Trump campaign plotted with Putin to deprive Hillary Clinton of her divine right of succession to the Oval Office. The foundational myth upon which the Mueller investigation rests – the idea that Russia was behind the WikiLeaks email dump – was never real to begin with: the Mueller probe, therefore, once launched, branched out into a more general look at foreign influence on the incoming administration. Which could and should mean that half of Washington will soon be lawyering up. Outside the Church of the Nativity in Bethlehem, where Christians believe that Jesus was born, thousands of people gathered Saturday for the annual Christmas tree lighting celebration, ceremony, concert and fireworks. Among the people who attended the ceremony were the Palestinian Prime Minister Rami al-Hamdallah, the Governor of Bethlehem Major General Jabrin al-Bakri, the Mayor of Bethlehem Anton Salman, the Minister of Tourism and Antiquities Rola Maaya, and the President’s Advisor for Christian Religious Affairs Ziad al-Bandak. Many other ambassadors, consuls and official and legal figures also attended. “Despite the settlement activities carried out by Israel, the Palestinian people still believe in the culture of coexistence, brotherhood and peace that our Lord Jesus Christ has brought to them, and we call on the entire world to take a united stand to end the longest occupation and oppression of history. “As every year, we gather together in joy and happiness to light the Christmas tree here in Bethlehem, marking the beginning of the preparations for the glorious celebrations in Ramallah, Nazareth, Gaza and Nablus, and every place that beats in the spirit of birth. “We are meeting today, in the midst of a bitter and difficult reality, to make ourselves a space of joy and optimism. Israel is continuing to undermine any efforts to revive the peace process. It is tightening its suffocating siege on the Gaza Strip. “Israel continues to confiscate homes and installations, intimidate families with demolition orders and forced displacement, confiscate our children’s right to a normal and secure life in Gaza and the Jordan Valley and in Jerusalem and Hebron, and imprison some six thousand and three hundred Palestinian prisoners, including 300 children. The prime minister continued, “We are continuing efforts to consecrate reconciliation. The national responsibility requires all of us to rise above all differences to move towards the serious and effective implementation of the Cairo agreement to help Gaza meet its basic needs. In addition to the Prime Minister’s statement, there was a concert with several singers and bands, as well as fireworks to mark the occasion. Separately, in a ceremony in Bethlehem on the same day, Palestinians and international members of the Holy Land Christian Ecumenical Foundation celebrated the lighting of the Bethlehem Museum Christmas tree which was decorated with gas bombs and live bullets fired by the Israeli occupation army at the Palestinian people. The tree was decorated with dozens of teargas and stun grenades which were painted as Christmas decorations, and the manger scene was placed in a suitcase surrounded by barbed wire and walls to express the suffering of the city of Bethlehem and its people because of the Israeli occupation. Through this action, the Ecumenical Foundation said they want to show how Palestinians serve life, by turning Israeli tools of killing into objects of beauty, showing they want life, peace, justice and freedom. Bethlehem, Palestine—On the evening of Friday, December 1st, 2017 a humble crowd huddled together around Bethlehem Museum’s small, but steadfast olive tree for the Museum’s first annual Christmas tree lighting ceremony. For the occasion, it was decided that decorating and illuminating an olive tree rather than a traditional conifer would best befit the Museum’s mission and vision—to highlight Palestinian culture and heritage through the eyes of its indigenous Christian community. The museum’s olive tree stands tall in its outdoor mezzanine as a powerful symbol of Palestinian rootedness in the region. The fact that olive trees can live and bear fruit for thousands of years despite difficult and changing conditions reflects the resilience and faithfulness of a proud people. The olive tree was carefully decorated with empty tear gas canisters and bullet shells collected from Israeli attacks near the Separation Wall in Bethlehem. The tree décor was meant to acknowledge the cross Palestinians bear while highlighting the light of hope for a better future, symbolized by its many strings of lights, its guiding star perched at the tree’s peak and a manger holding the infant Jesus at its base. Hosting the lighting was Mazen Karam, CEO of the Bethlehem Foundation, an organization dedicated to the development of Bethlehem. People in the crowd were touched by the symbolism, noting that it was the first time they had ever heard of an olive tree used as the symbol of Christmas in Palestine. Bethlehem Museum is a project of the Holy Land Christian Ecumenical Foundation. GAB it Bro! GAB it! It’s their “Jew” problem now. 1. The Jews told him to. 2. He is getting paid to do it. 3. He is getting blackmailed to do it. 4. He wants to get attention. 5. He is the president of Jewmerica. 6. He is a righteous gentile. 7. He is planning a war. 8. He is a boogie man. 10. He is trying to make Zionist Christians think he is a Christian. Since you have a grasp of the whole situation, do you think this take that war with Iran is imminent based on Pompeo’s letter to General Qassem Suleimani of Iran? And here’s more RealJewNews on what happened to Flynn. Look at all the nations that Israel pushes around! After Netanyahu told New Zealand Foreign Minister Murray McCully that New Zealand’s support for the resolution would be tantamount to a declaration of war against Israel, New Zealand pulled its sponsorship. Kushner, according to those who know him, would have been more than capable of joining Netanyahu in threatening diplomats and the governments they represent at the UN. In a fit of rage, Netanyahu recalled Israeli ambassadors to Senegal and New Zealand, canceled all assistance programs in Senegal, and disinvited Senegalese Foreign Minister Mankeur Ndiaye from a planned visit to Israel. The Israelis called in the ambassadors of the United States and the ten other countries that voted in favor of 2443 to verbally reprimanded them. A planned visit to Israel by Ukrainian Prime Minister Volodymyr Groysman, who is Jewish, was also canceled. Israel also blocked work visas for employees of five UN specialized agencies active in the West Bank and expelled the spokesman for the UN Relief and Works Agency for Palestine Refugees in the Near East (UNRWA). Israel’s collusion with the Trump presidential transition team points to more than just Trump, Kushner, and Flynn violating the Logan Act of 1799, an arcane law prohibiting American citizens from engaging in their own foreign policies. By convincing Trump, Kushner, and Flynn that Obama was behind Resolution 2443, Israel co-opted the Trump transition team to do its bidding. The Logan Act is immaterial when Trump, Kushner, Flynn, and others committed virtual treason against their own country to further the political aims of Israel. +Brother Nathanael on Rense Radio Tonight! And whatever Mueller is after, after looking at Kushner’s financial ties, plus his total inability time after time to file a full disclosure report of all his finanical ties, especially to Israel without selective amnesia, this is beginning to smell like a classic white-collar crime case. The Court Jew has also in his real estate dealings partnered with one of Israel’s wealthiest families, the Steinmetzes, who built a fortune as one of the world’s leading diamond traders. One of the Steinmetz dynasty moguls, the billionaire Beny, was under scrutiny by law enforcement authorities in four countries earlier in 2017. Back in the 1990s, Beny teamed up with his brother Daniel, now 79, to create the Steinmetz Diamond Group. The business, which sells under the brand Diacore, has become one of the world’s biggest buyers of diamonds from De Beers. De Beers, the mining colossus straddling the world’s diamond trade, was being accused by human rights groups of buying illicit “blood diamonds” from African rebels and rulers who used the proceeds to help pay for their wars. De Beers’ operations account for 94 per cent of South Africa’s diamond output today. De Beers’ entire production of diamonds in 1800 was sold by 10 firms all being Jewish. In the beginning of the 21st century, Israel is one of the world’s three major centers for polished diamonds, alongside Belgium and India. Israel remains the world’s leading exporter of diamonds with a South African origin through the De Beers monopoly, with two-thirds of its stones finding their way to the United States. Beny Steinmetz expanded his business interests into steel, gold, nickel, oil and iron ore, and built a global real estate empire, with properties in cities including London, New York and St. Petersburg. In the United States, federal prosecutors were (are?) investigating whether representatives of his firm bribed government officials in Guinea to secure a multibillion dollar mining concession. In Israel, Beny Steinmetz who in 2011 was the second wealthiest man in Israel, uncle of Raz Steinmetz, Kushner Company’s business partner, was detained in December and questioned in a bribery and money laundering investigation. It must have been really bad for the incredibly corrupt Israeli criminal justice system to actually do an inquiry of one of their Israeli-Jewish oligarchs. In Switzerland and Guinea, prosecutors conducted similar inquiries. Beny Steinmetz is represented by none other than criminal defense attorney Alan Dershowitz, who opined some time back that he thought the Beny Steinmetz investigation had gone dormant. (Ya know, Dersh, that sounds really fishy, considering you’re his attorney. Maybe that meant the FBI had lost the evidence trail). In the meantime, Dersh over the past months has been very, very shrill about Mueller, the so-called “witch hunt” against Trump, and going on and on about how Trump has the “constitutional right” to command the DOJ on who to investigate and who not to investigate, order cases halted, and other nonsense supporting Dersh’s opinion that POTUS is above the law. (Ya know, Dersh, for a constitutional civil rights kind of guy, We the People elected a president, not a king). Dersh is now busy preemptively trashing Flynn as a future federal witness in court as being a perjurer, and that no one in court will take his credibility seriously. In 2012, Jared Kushner’s company went on a buying spree, snapping up about 11,000 apartments around the country, roughly doubling its inventory. The firm, founded by his father, Charles, also made its first Steinmetz deal that summer. The younger Mr. Kushner has traveled repeatedly to Israel, where he has gotten funding to fulfill his ambitions. Kushner Companies has taken out at least four loans from Israel’s largest bank, Bank Hapoalim (The Peoples’ Bank). It joined with Harel, one of Israel’s largest insurance companies, on one deal. Mr. Kushner’s firm was introduced to the Raz Steinmetz team “by a third-party broker in the United States,” said Kenneth Henderson, a New York attorney for Raz Steinmetz. Bank Hapoalim, the largest bank in Israel, is deeply involved in the financing of settlements in the Palestinian territories, considered illegal under international law. Bank Haopolim (BHI in the US) claims global presence in Israel, Canada, Luxembourg, Turkey, UK, Uruguay, Switzerland, New York, with representative and lending team officies in New York, Los Angeles, Beverley Hills, Florida and New Jersey. Not only all this, but your amnesia causing your failure to disclose that for 11 years, you were a co-director of the Charles and Seryl Kushner Foundation from 2006 to 2015, a time when the group funded an Israeli settlement considered to be illegal under international law, on financial records he filed with the Office of Government Ethics earlier this year. Then there’s this weird amnesia I’ve never heard of affecting Kushner’s disclosure statements, too. Kushner stated that he was a member of the board of directors of the Kushner Family Foundation from 2010 to 2017, though publicly available financial records for that foundation do not include his name on the board. So how many illegal Israeli settlement real estate developments on Palestinian land do you and your business partner, Raz Steinmetz, financed or own? Creative amnesia, again? And is that your excuse, you pathetic, squeaky voiced Court Jew, for turning a blind eye to the ethnic cleansing, murders, apartheid system, demolition of Palestinian homes, destruction of villages, numerous crimes against humanity, maiming, crippling, and torture of Palestinian children? Oh, wait, I forgot. They’re goyim, and worse than goyim. They are the hated tribe of Amelek in this reincarnation that Jews are commanded by their Jewish no-god to eternally annihilate. God ordered Moses and ancient Israel to go to war with the tribe of Amelek, a descendent tribe of Esau, because of their evil banditry and raiding tactics attacking the traveling tribe of Israel from the rear and slaughtering the unarmed women and children, infirm and elderly where the non-combatants were always placed in the travel party. The crime was made worse because Esau and Jacob/Israel were brother tribes descended from the uterine twins, Esau and Jacob. And now, Kushner, I find it ironic that Zionist Jews are actually the cowardly Amelek destroying the largely defenseless Palestinians, especially the elderly, the women, and the children. Of course, holding Jews accountable is anti-Semitism. Now, Kush, can you think of a reason why Alan Dershowitz, criminal attorney of record for Beny, has been in hyperdrive burning up the airways attacking both Flynn, Mueller, and the Special Prosecutor’s team in an effort to discredit the prosecution? Mueller’s investigation into alleged Russian meddling in the U.S. election has widened to President Donald Trump’s business dealings, with Mueller reportedly issuing a subpoena to Deutsche Bank to get information on Trump’s relationship, Germany’s largest lender (which Sekulow denied Mueller as having done). Trump’s legal strategy is crafted by Cobb and Dowd, as well as attorney Jay Sekulow, who at key moments has served as the public face of the defense team. Jay Sekulow is a very interesting Jew-converted-to-Jews-for-Jesus lawyer pick for representing Trump. Sekulow built a legal and media empire, American Center for Law and Justice (ACLJ) over a thirty-year period by representing conservative, religious and antiabortion groups. He is very well known in the evangelical/televangelical Trumpean Amen Corner. He also hosts a talk show, which airs on radio and television. Sekulow is a frequent guest commentator on the Christian Broadcasting Network and the Fox News Channel. I think he’s a TV host on Trinity Broadcasting Network, or was. His youngest brother Scott is the founder and Rabbi of the Messianic Jewish Congregation Beth Adonai in Atlanta, Georgia. On June 27 and 28, 2017, The Guardian reported, that documents obtained by them confirmed later that “millions in donations” were steered to his family members, that Sekulow “approved plans to push poor and jobless people to donate money to his Christian nonprofit, which since 2000 has steered more than $60m to Sekulow, his family and their businesses”. It reported that attorneys general in New York and North Carolina opened investigations of Jay Sekulow’s group Christian Advocates Serving Evangelism (CASE) for possibly using pressure tactics in telemarketer calls to raise money which was allegedly misdirected to Sekulow and his family. Good read here from archived 2005 Law.com article about the Sekolow non-profit empire. Give me a Har-lelooooja, Hamen? We don’t need thinkers, we need belieeeeevers! Israhell is the wellspring from which all blessings flow! Nothing like being a charter member of the Evangelical Order of the Golden Fleeced run by Messianic Jews. I think I’ll go out for a Black Russian or a Moscow Mule now. (For anyone under 40 or so, these are bartender drinks).